Henshaw Inflatables Ltd are acknowledged as the leading manufacturer of Inflatable Tubes/Collars to RIB builders both in the UK and throughout the world. Founded in 1974 we have 41 years experience of designing and building tubes for the Inflatable Boat Building Industry. Tube design is where it all starts. We have our own in house design team, using the very latest design software. 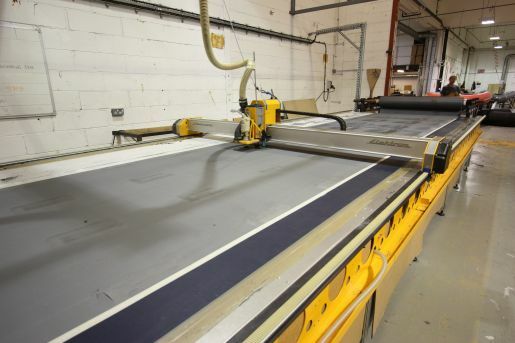 Our fully automatic CNC cutting and buffing machine produces cut fabric panels to a fine tolerance ensuring a high degree of accuracy. We are able to work from basic sketches with measurements or full scale drawings to create the best Inflatable tubes, found anywhere in the world. A wide and varied customer base,with in excess of 80 leading RIB builders throughout the world is testament to our expertise, first class service and attention to detail. A modern well equipped 33,000 Sq ft factory in Wincanton Somerset with over 50 staff is where it all happens. We do not build or market our own boats. There is no conflict of interest in design rights, and we regularly sign confidentiality agreements to protect our customers and their new models and ideas. You can be assured that any plans or designs submitted will remain confidential. We either send the completed tube to the customer for fitting, or the hull can be fitted out at our factory. We offer a chargeable hull collection and delivery service for boats up to 8 metres. 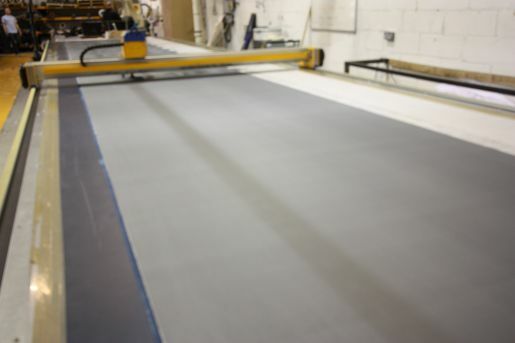 A wide range of accessories including rubbing strakes, handles,Hypalon fabrics etc are available, including adhesive, and thinners. All our Tubes/Collars are manufactured using Hypalon© coated fabric, which is considered and has proven to be the best fabric for Inflatables, a view shared by the majority of high quality RIB builders. We also manufacture many other Inflatable products, including Self Righting Bags, Inflatable Fenders, Super Yacht products, Inflatable Pipe Stoppers, and other marine products.